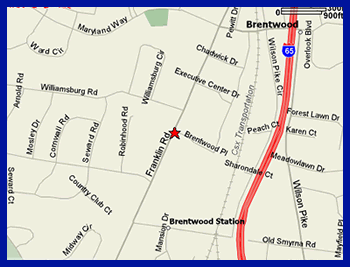 Located in the Brentwood Place Shopping Center (Kroger's), 330 Franklin Road. The store is between My Gym and TJ Maxx in the back right corner. DIRECTIONS From I-65S and Old Hickory Blvd.